Aston Villa defender James Bree has admitted he hasn’t progressed as he would’ve liked at Villa Park, with his attention now turning to a loan spell with Ipswich Town. Bree was a Steve Bruce addition at Villa Park in January 2017, but the right-back has struggled to nail down a starting berth at B6. In 24 months he’s made only 21 appearances in the Championship for Villa, with a further seven coming across other competitions. 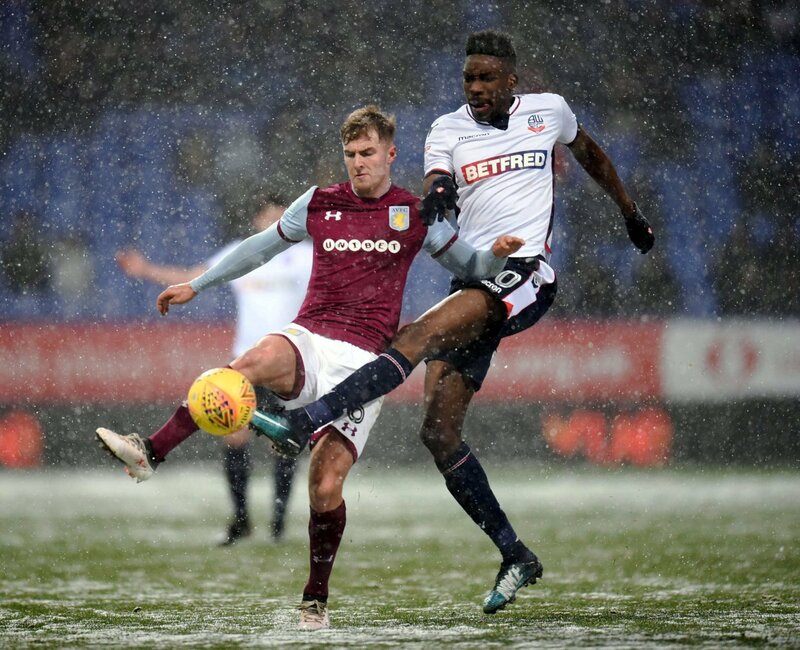 Dean Smith handed Bree six appearances since arriving in October, but Villa have opted to move the 21-year-old out on loan, with the right-back now across the Championship with struggling Ipswich. Discussing his progress at Villa Park with Ipswich’s official media, Bree said: “I haven’t kicked on since signing for Villa a couple of years ago as much as I’d wanted to. Since switching Villa Park for Portman Road, Bree has completed two full 90 minutes under Paul Lambert. He’s tasted defeat twice, though, losing out 1-0 to Sheffield Wednesday on his debut and losing 3-0 in the East Anglian derby with Norwich City on Sunday afternoon. Bree will be hoping to make a third consecutive appearance for the Tractor Boys tomorrow when Derby County visit Portman Road. It’s been obvious that Bree has struggled to adapt to life at Villa Park. The youngster seemed a great addition after impressing at Barnsley, but he’s not hitting those heights at Villa Park and it is honest of him to admit things haven’t gone well. Now, he’s got to focus on getting things right on this loan spell. If he can do that he might have a future at Villa.